Aspirants who wish to apply for the IBPS Probationary Officer Recruitment 2019 can check the IBPS PO Online Application here on this article. The Institute of Banking Personnel Selection is looking for the most eligible candidates to take up the PO Posts. Candidates who wish to make their career in the Banking sector can Apply Online for IBPS PO Recruitment 2019. Aspirants can check the IBPS Official Notification directly from our page. Eligible contestants can apply online before the last date. In general, the application is available at the official site @ www.ibps.in The IBPS Online Application available from July 2019 Onwards. The Institute of Banking Personnel Selection is an autonomous agency in India. Every year, the IBPS issues various recruitment notification to fill various vacancies under its department. During the Financial year 2020, the IBPS will conduct the recruitment exam for filling PO vacancies. In a similar manner, this year also IBPS issued an Advertisement form to fill various Probationary Officer Vacancies. It is great news for the unemployed candidates. Aspirants can immediately check the IBPS PO Recruitment Notification given below on our page. After checking the eligibility conditions, the qualified contenders can apply for the PO Jobs. The Jobseekers don’t waste the time. Since the online applications are available only for a particular period. As there is heavy competition for the PO vacancies, we are providing the direct IBPS PO Online Application 2019 link here on our page. Candidates can check the complete process of IBPS PO Application Form 2019 Submission, Required documents for the Application submission, Application fee, and payment modes of the fee, and so on. To apply Online for IBPS Probationary officer jobs, the candidate has to fulfill the below-mentioned eligibility conditions. The Aspirant must possess Bachelors Degree issued by Recognized University. Candidate should possess a minimum age of 20 years and maximum age of 30 years. The Applicants who are going to apply online for the IBPS Probationary Officer Jobs 2019 need to pay the Application Fee before the last date as mentioned in the recruitment notification. The amount of Application Fee will depend on the category to which you belong too. 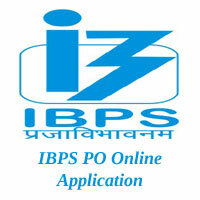 We are providing here the primary IBPS PO Application fees details. If any changes made in fee information & gateway of application fees, we will update it later on this page. The candidate will go through the various steps during the IBPS PO Registration procedure. The individual is solely responsible for details entered during the Online procedure. The following are the steps involved during IBPS PO Online Application 2019 steps. After the successful Completion of the Registration process, the candidate can make use of the user id and the password generated during Registration. Now, the candidates should enter all details in the Student Information form of IBPS PO 2019 Online Application Form and their educational details. In student information, the candidate has to fill the fields like mother tongue, contact details, reservation category (if any), annual income, postal address for the communication, etc. During the online application process, the candidate should upload the necessary documents, valid photo id and the signature. After filling all the details, click on the submit button. Collect the online application form which is useful for further reference. After Submission of Application, you will be redirected to Fee payment page. Applicants can pay the IBPS PO Online Application Fee either through Bank Challan or Demand Draft. Fill the application with proper details and in the correct format. Duly upload the certificates and the valid photo id during the online application procedure. Complete the Online application process before the due date. Starting Date for Submission of Online Application: July 2019. Last Date for Submission of Online Application: August 2019. IBPS PO Prelims Exam Date: 12, 13, 19 & 20 October 2019. CRP PO/MT IX Mains Exam Date: 30 Nov 2019. After completing the IBPS PO 2019 Registration Process, applicants can continue your preparation. Before that, you need to check some essentials such as Syllabus, Exam Pattern. So, go through the enclosed links to get the Syllabus and Previous Years Question Papers.